Hull & prop cleaning in Sydney Harbour is vital to maintain the optimum operational capacity of your vessel. We offer unmatched professional service for your sub-waterline maintenance, saving you time & money in the long run. We pride ourselves on our excellent customer service. Whether you have lost an anchor, outboard engine, jewellery, boat ladder, sunglasses, deck equipment, moorings or anything of value to you or your vessel we have the skill & experience to create a plan for professional salvage of your belongings. In the past we have successfully raised gold rings, watches, tenders, tools, moorings & entire boats & equipment from the depths of Sydney Harbour. No job too small or too large. We offer Sydney Mooring services, using high quality Ropes, Chains, Shackles for total peace of mind for your marine asset, we offer full before and after photos / Video inspections, Lost Mooring Recovery services, Mooring servicing within the Sydney region, port Hacking, Pittwater, All Pontoon / Swing Moorings, Private Jetty services available.  Wells Marine Undersea Diving Services is a local Sydney family-owned & operated business with a long marine history. Mike Wells - Head diving operations manager, Maritime vessel master & captain, marine vessel management specialist, world record diving achievements as seen on 60Minutes with Charles Wooley.  Jeremy Wells - Diving operations supervisor, Master marine welding contractor in stainless steel / alloy / steel. 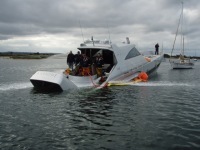 Frank Wells - Ex-Australian Navy marine electronics specialist - vast experience within the marine industry. 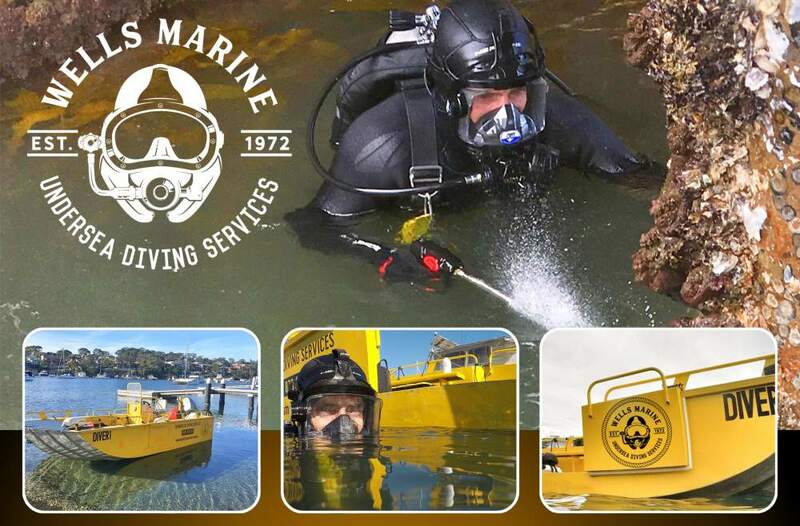 Operating from the beautiful Rose Bay / Point Piper marinas on Sydney Harbour, Wells Marine Diving Services offers professional Marine Diving services & total boat care / maintenance services to the marine & boating industry in all sydney Water Ways. 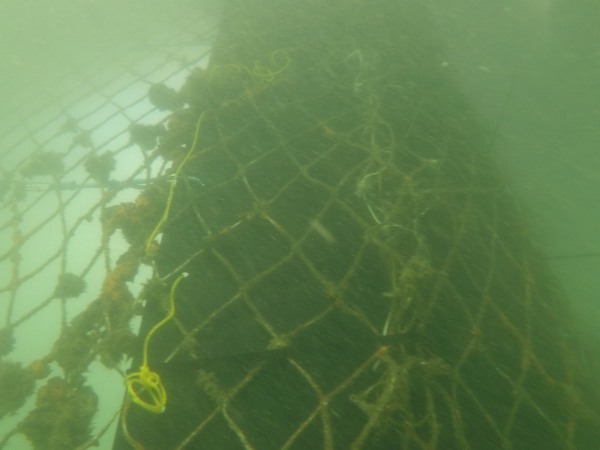 Providing Security & peace of mind with solutions to keep Shark nets in optimum condition, Repairs, Installation & on going maintenance in sydney waterways. Private and Public Marina / Jetty marine Growth removal, Removing stubborn oyster and barnacle growth from your marine assets. 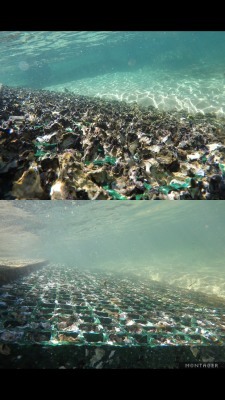 Removing oysters & marine fouling growth from private jettys and wharf structures in sydney waterways. 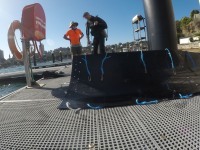 Shark Net Swimming enclosure repairs, installation and ongoing maintenance provided by our expert team, we have provided solutions to some of sydneys most prominent ocean swimming enclosures. Anchoring, Re-hanging, Stitching repairs, Full Install, Regular maintenance for peace of mind. Maintaining Ships, commercial and private vessels Hulls and Running gear is paramount, Cavitation technology used by Wells MArine Hull Cleaning and marine growth removal Increase the improvement and perfromance of vessel’s operation. proven reduced fuel consumption up to 20% and CO2 emission reduction of gases in the marine environment. Expansion of vessel’s maintenance cycles that usually require lift-out. The underwater hull and running gear cleaning via cavitation polishing and the maintenance of the smooth surfaces is vital in order to save energy and optimize the performance of the vessel. The rough fouled propeller and running gear leads to power loss, which can be up to 20% as well as an increase of fuel consumption. Wells Marine Diving Services , provides high quality underwater cleaning and underwater propeller polishing, achieving immediate and effective reduction of fuel consumption and reduces the total running costs of the vessel. Propellers convert mechanical energy to the propeller shaft to thrust energy of the water. The propeller blades function as a spoiler. The development of thrust that they generate is a result of flow which is generated around the blade. As the propeller turns the blades generate a pressure difference in the water, pushing the vessel forward or backwards, depending on the way that the propeller turns, as well as the pitch of the blades. There are fixed pitch propellers and variable pitch propellers. An important problem in vessel handling is the increase of fouling roughness to the propeller, as the fuel consumption and the emission of gaseous pollutants in the environment is increased and significant losses are caused to the propulsion system. 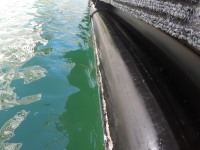 Surveys have shown that adopting regular underwater Hull Cleaning as an integral part of the scheduled maintenance of the vessel, significantly contribute in savings of the total fuel costs and long term vessel maintenance. Although the surface area of the propeller is microscopic in comparison with that of the entire hull, the effect of a rough fouled propeller in a vessels fuel consumption is proportionately higher. 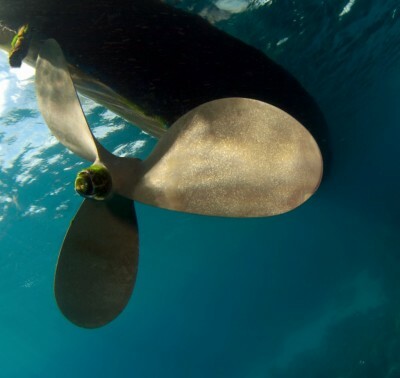 It has been proven that the propeller, which has a smaller surface area, can create loss of energy gain, half of which the vessel's hull creates. 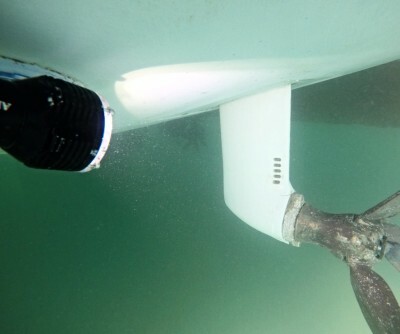 If the Hull and propellers are rough with marine growth the performance of the vessel drops significantly. 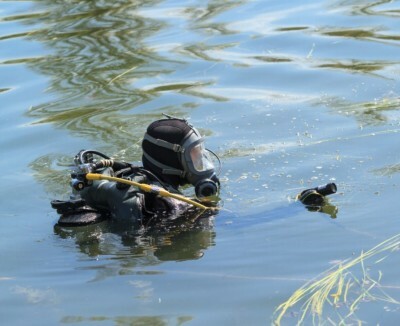 Wells Marine Diving Services are the only Hull Cleaning Divers on sydney harbour water-ways to utilize the optimum Cavitation cleaning system of marine growth removal.